INGREDIENTS: MCT Oil (from Coconut Oil), Full Spectrum Cannabidiol (CBD), <0.2% THC. 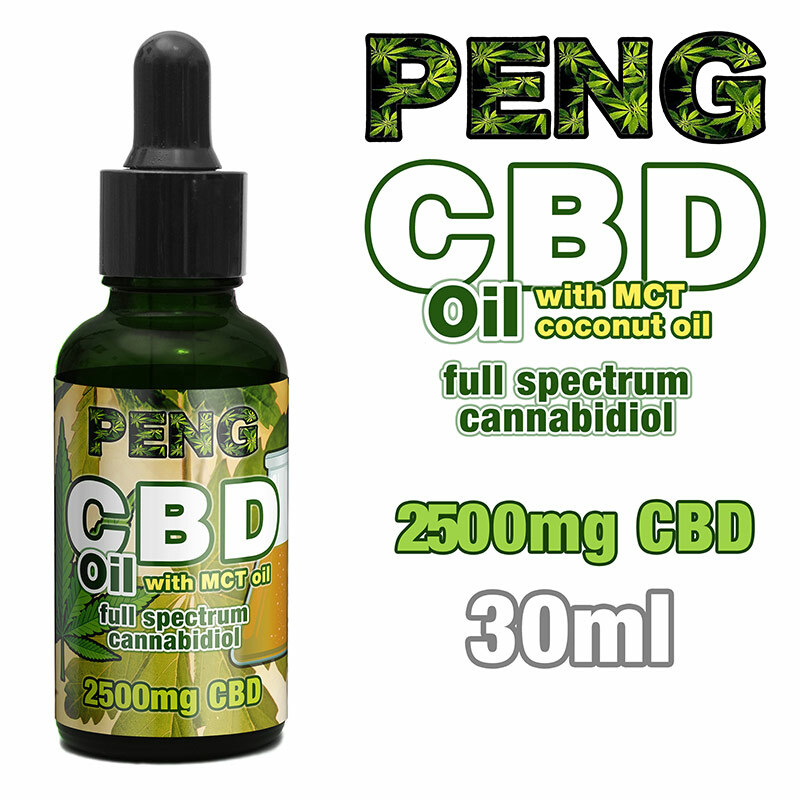 PENG CBD Oil with MCT coconut oil is a Food Supplement. GUIDANCE: Take 3 to 6 drops under tongue up to 3 times per day. Do not exceed this dosage. Can also be used topically on skin to soothe or moisturise. There are two CBD strengths, 1000mg and 2500mg. 1000mg contains 3.33% CBD oil (33.3mg of CBD per 1ml). 2500mg contains 8.33% CBD oil (83.3mg of CBD per 1ml). Gluten and lactose free. Vegan friendly. No additives. No parabens. Store in a cool place out of direct sunshine. WARNING: Keep out of reach from children and pets. You must be over 18 to use this product. This product is not intended to treat any medical condition. Do not use if you are pregnant or breastfeeding. CBD can cause drowsiness. Use at your own risk. Check with your GP before starting a new dietary supplement program. This website is for our retail and wholesale customers only, to order in bulk contact us with your requirements, and we will send you an invoice. Once we've received your payment, orders are processed and sent out the same day from one of our depots in The West Midlands.